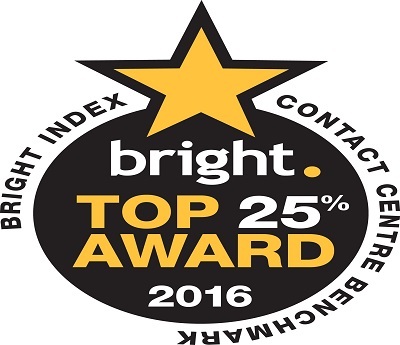 Today, investment company Old Mutual Wealth, was announced as one of the top 25% performers in Europe’s leading bespoke customer service benchmarking survey, Bright Index. Each year up to 100 companies benchmark their contact centre performance against 60 key metrics with an average one million calls per participating company used to form the basis for the analysis. Old Mutual Wealth’s team continues to raise the bar for best in class contact centre performance and is now recognised as an effective contact centre operation delivering quality and efficiency above many of its peers. Old Mutual Wealth adopted an innovative customer hub approach enabling them to better service telephony and email interactions and enhance the level of service across the business. The key to delivering world-class customer service as well as proving the contact centre’s contribution to the organisation as a whole, is to get a comprehensive and all-encompassing view of how the contact centre operates. We have to recognise that there are inherent dangers in examining areas in isolation, which is why the Bright Index is designed to adopt a holistic approach including all areas of managing a best-in-class contact centre.” Old Mutual Wealth has demonstrated they have a firm grasp on delivering excellent customer service in an efficient and cost effect manner.